Depending who asks, this is either the best or worst time to be in retail. It’s a challenging time for traditional retailers as competition from online shopping continues to eat into profits. It’s also a great time for retail, because of the unprecedented tools and opportunities available. For the first time, retailers can know their customers better than they know themselves. Leveraging new-found knowledge, they can craft powerful experiences and curate merchandise that resonates deeply with customers. 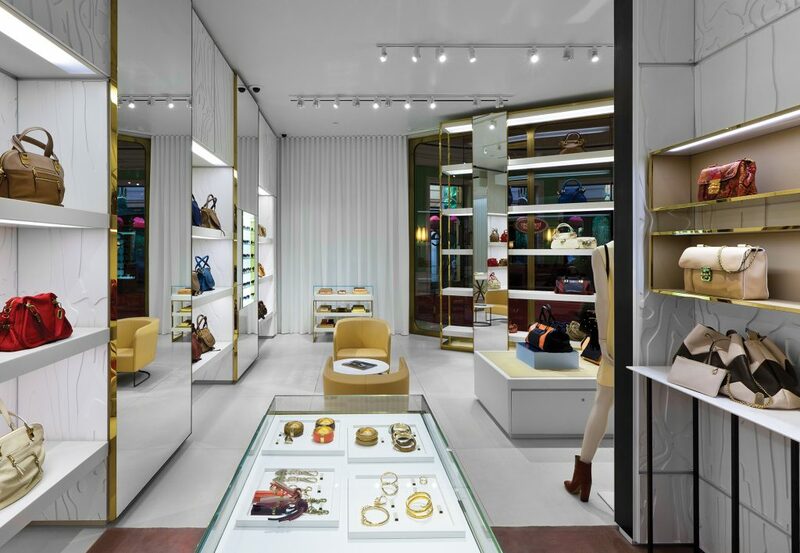 2019 will be a big year for brick-and-mortar retail as stores re-tune their spaces to cater to their customers’ desires. High-end stores have been offering luxury experiences for a long time. The combined pressures of experience-loving Millennials growing into the largest generation and competition from online retail are motivating brick-and-mortar stores to switch mindsets. Stores are no longer just buildings to hold and sell merchandise; they are destinations themselves that deliver experiences—and they happen to sell products too. Except when they don’t: Nordstrom recently debuted a new concept called Nordstrom Local. A small-format (3,000 sqf instead of the typical 150,000 sqf) store that doesn’t actually have any inventory. Instead, it features spacious changing rooms where customers can pick up online orders, try on clothing and lounge areas to relax in. Increasingly, stores are looking to shift their offerings from “chore” shopping to “cherish” shopping. Chore shopping is buying unsexy commodities that you need—toilet paper, dish detergent and the like. Online vendors like Amazon and subscription services are taking a large bite out of this market. Cherish retail, on the other hand, is about the customers’ experience—and when they enjoy the experience, they come back. Even the humble grocery store is racing towards experiential shopping with theatrical lighting for the produce and in-store restaurants. Chore shopping is getting easier with the internet. Stores can shine with cherish retail, though. Lighting is a key part of the store as a destination, from the lighting that calls out to customers and lures them inside to the lights that guide customers to high-margin items the way a spotlight draws the audience’s eyes to the star of a play. To paraphrase Mark Twain’s line: “Rumors of retail’s death are greatly exaggerated.” Brick-and-mortar is far from dead. Even Amazon is opening stores and it’s not alone: other online brands are set to open 850 stores over the next five years. The retail apocalypse isn’t here. That said, traditional (one-size-fits-all) stores are in trouble. They were great before mass personalization was possible. Today’s sophisticated customers expect more from stores. Successful brands are adapting and those that innovate engaging experiences are thriving. Smart retailers are shifting their mindset towards lighting from being a necessary evil to a powerful tool. The right lighting can deliver a great experience for customers and move merchandise. Good lighting won’t force customers to buy an item, but it will guarantee they notice it. As stores move to provide a high-end retail experience, contrast ratios are key. For a just noticeable difference, a display needs two or three times the light on it as the general area around it (the ambient light). To be really effective, a contrast of five to 10 times the ambient light level makes a dramatic difference. Washing a store’s walls and ceiling with light makes the space feel light and airy, instead of dingy and cave-like. Warm-toned lighting makes lounge areas feel like home, while cool-toned lighting makes colors pop. With lighting, color quality is key. Merchandise needs to look good. Good color quality brings the sun into the store and makes products look beautiful with crisp and vivid colors. 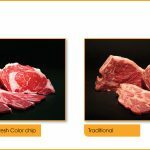 Color quality is measured in terms of CRI or TM-30, and modern LEDs can deliver the finest color quality of any light source. The higher the CRI or TM-30 values, the brighter the colors will look. Rich colors are critical when retailing items like clothing, produce, jewelry or artwork. 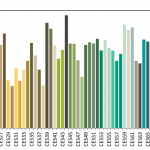 LED lighting is powering these trends, with its unique ability to change colors to match the sun, deliver the finest color quality of any artificial light source, lower energy costs and durability that lasts for years. 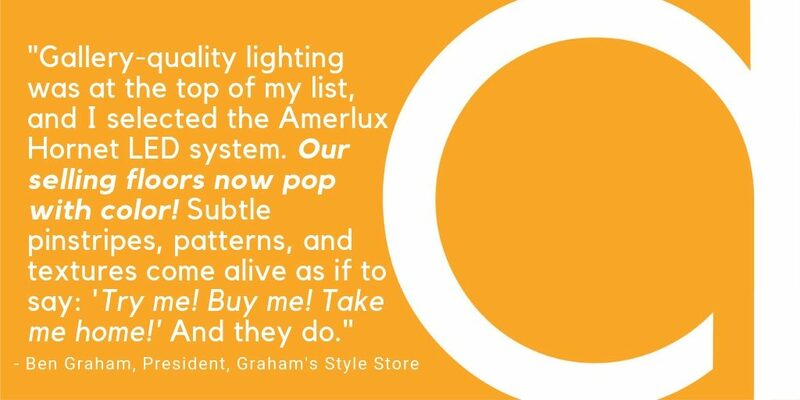 Amerlux has been on the forefront of lighting technology since the 1980s and has designed some of the finest retail lighting solutions ever developed. Learn more.